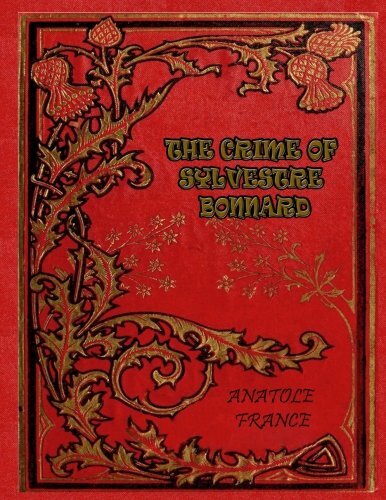 Sylvestre Bonnard, a member of the Institute, is a historian and philologist, gifted with great erudition. He lives among books, and launches himself into the research, in Sicily and Paris, of the precious manuscript of the French version of the Golden Legend, which he finally obtains. By chance he meets a young girl named Jeanne, the granddaughter of a woman he once loved. Anatole France spares no one in this satire about the life and death of the Penguin empire. Describing the founding and subsequent fall of the empire, this story pokes fun at the Church, military, courts and every political movement known to man. Thoroughly researched with a wealth of references, Anatole France sought to bring a rationalist viewpoint to the legendary French heroine and to examine and, where necessary, overturn the superstitious additions to her history. Beneath the shadow of St. Sulpice the ancient mansion of the d'Esparvieu family rears its austere three stories between a moss-grown fore-court and a garden hemmed in, as the years have elapsed, by ever loftier and more intrusive buildings. by Anatole France - John Lane Co.
An autobiographical tale in which the hero, Monsieur Bergeret, a thoughtful man of letters who had formerly held himself aloof from political strife, was drawn onto the public stage because of the Dreyfus Affair, just as Anatole France had been.